Finally! 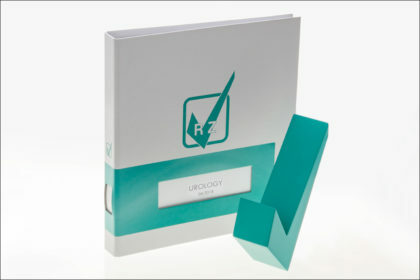 – our new urology catalogue is online. You can find it on the website and on the App. The printed version will be in one of your next shipmets as well. Open and endoscopic treatment of urological disorders has always been a key area for RZ Medizintechnik. Together with renowned surgeons worldwide, we have been developing and producing advanced instruments for the last two decades in the fields of cystoscopy, resectoscopy, stricture treatment, lithotripsy, nephroscopy, uretero-renoscopy and all pediatric applications. We offer the complete range of instruments for monopolar, bipolar (HYBRID) as well as laser based surgical procedures and provide solutions for all urological procedures, from instrumentation, endoscopes to 4K device systems. The focus of the catalogue has been dedicated to the laser section to meet the latest trends in laser-assisted resectoscopy (HoLEP/ThuLEP, Diode-Laser/Contact Laser Ablation, HoLAP/ThuVAP and PVP). • RZ topseller products: Star-marked products which signalize the most common model on the one hand and fast delivery on the other hand. RZ is seeking to have those products on stock permanent. If you have any questions or queries, kindly let your Area Manager know!